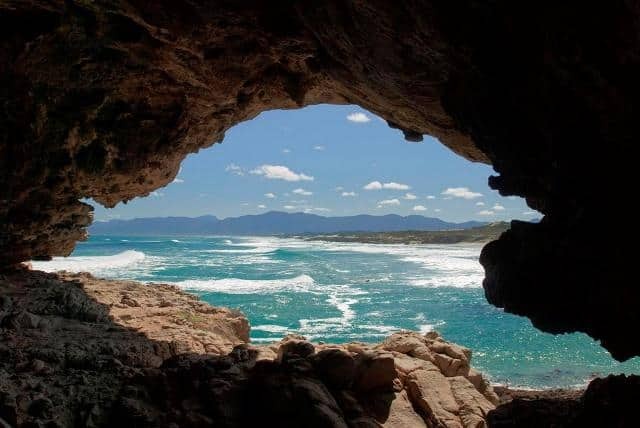 Grootbos Private Nature Reserve near Hermanus in South Africa describes itself as “Where heaven is a place on earth” and I wouldn’t argue with that. 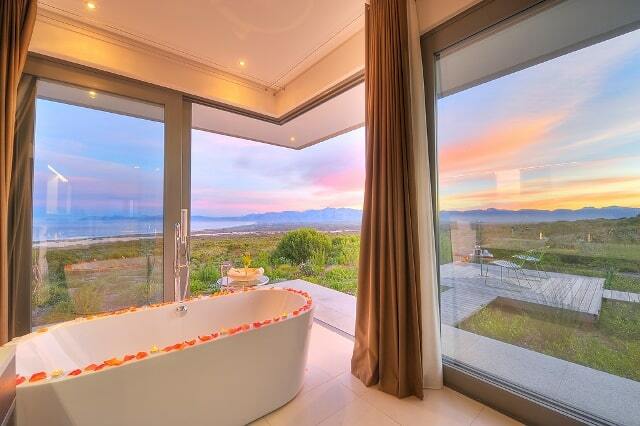 My abiding memory of Grootbos is the view, the view, THE VIEW. 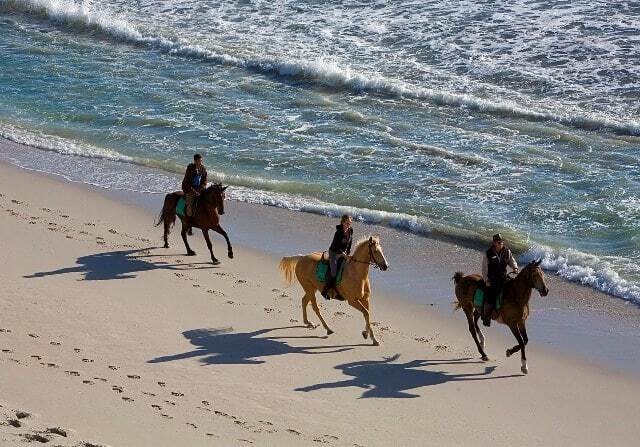 The hotel is set amid two and a half hectares of lush vegetation, and looks out over Walker Bay, the Atlantic Ocean, and has wondrous mountain vistas. No matter the time of day, Grootbos provides the most spectacular views, and as evening falls the sunsets are magnificent. 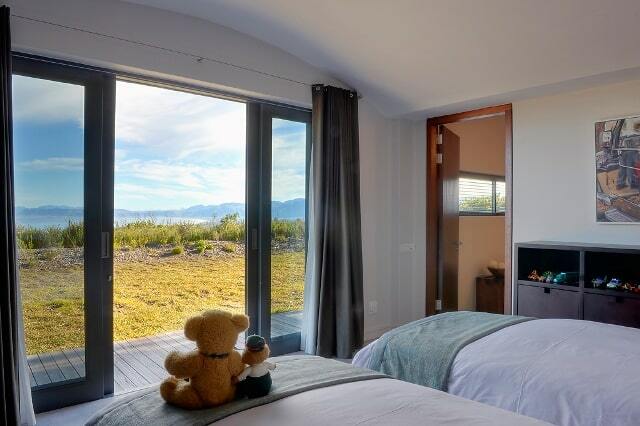 We stayed at Grootbos Private Nature Reserve in the Forest Lodge which is the most lovely accommodation, with five rooms – a beautiful four-poster bed and the biggest bathroom with a step down bath, from where I had sweeping views of the lush landscape. 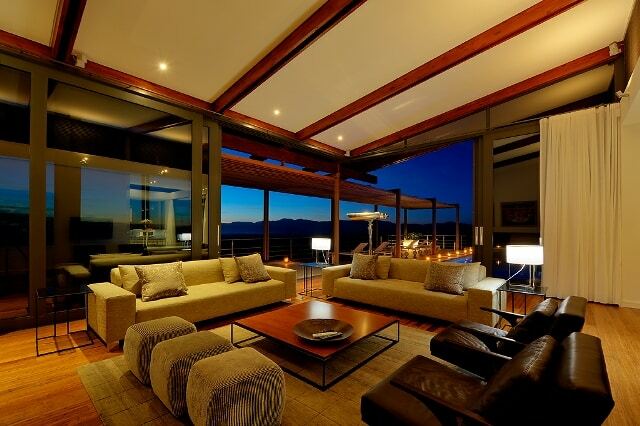 In fact the whole Grootbos complex is fitted out like a lodge. The wooden beams, floors and African-styled soft furnishings made me realise that I was staying somewhere natural and in touch with its surroundings. 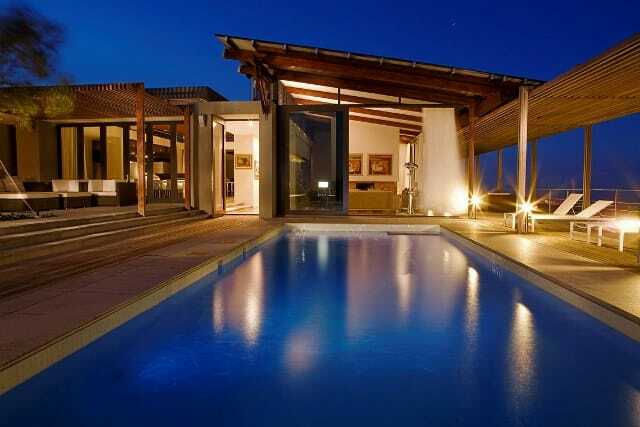 Grootbos Private Nature Reserve was very relaxing and laid back, and the staff couldn’t do enough for us. There was a log fire in our room, which was lit each night. The head chef, Duane Lewis, made it his personal quest to ensure we enjoyed the fresh produce that the hotel grows on its land. Everyone from the hotel porter, receptionist, the waitress (who knew what I wanted each day) to the head chef and general manager were amazingly welcome. 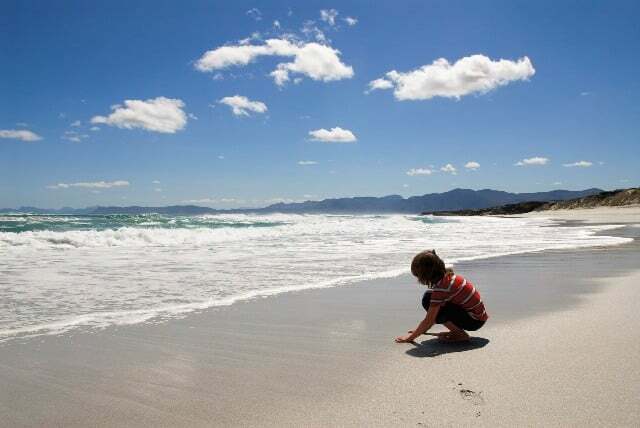 We didn’t spend all our time relaxing, instead we tried some of Grootbos’ highlights including a day whale watching. During our magnificent day out we saw five whales, two great white sharks and scores of seals. The guides on board our boat were very knowledgeable and I was surprised by how many volunteers there were who came from all over the world to experience and participate in the programme. Before heading out to South Africa I had sworn I would not go shark cage diving. 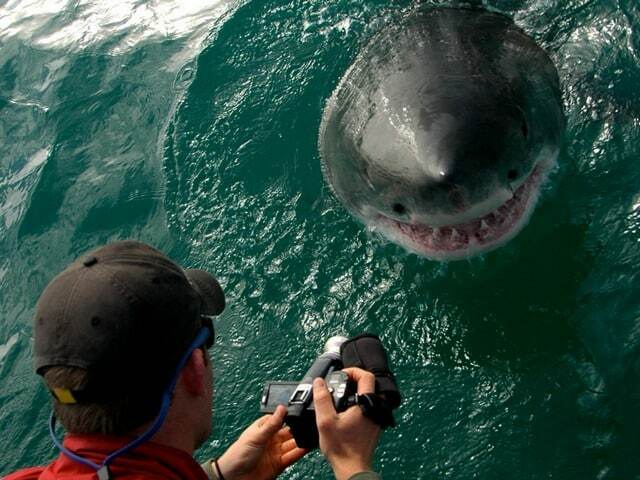 I’m sure they are beautiful creatures, but as I am a major coward, I simply wasn’t going to try that. My fiancée, Matt, wanted to do it and I went along to film him, however, once on board the boat I bravely decided to give it a go. Plucking up all my courage I entered the shark cage, which can take eight people, I felt kind of safe in numbers. Although the visibility wasn’t great beneath the sea we did see about 20 sharks that day. 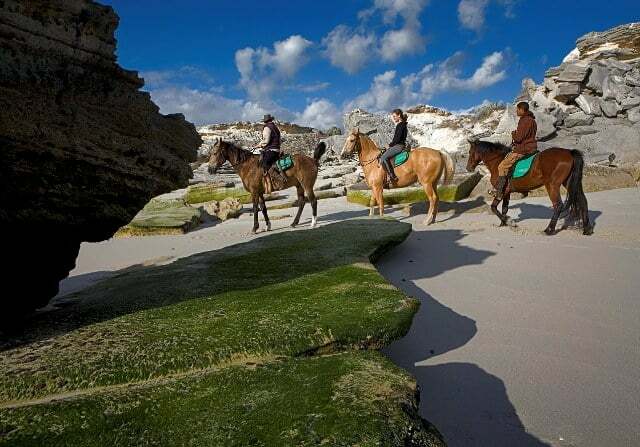 There are many activities and tours available at Grootbos – they even have their own stables and one evening we went for an unforgettable sunset horse ride throughout the nature reserve. We ate well at Grootbos, from breakfast which was made fresh to order. The evening dinners were all five courses, and delightfully tasty. For starters one night I had a frozen Bloody Mary. Matt loved the meat options, praising the freshness and quality of the steak and chicken. From a vegetarian’s perspective, it could have been a tad more creative. 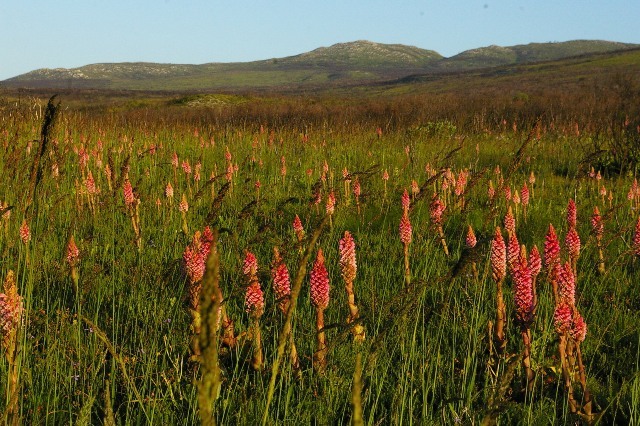 But interestingly, Grootbos grows all its vegetables on its own land and often make the dinner menu up from that days harvest. 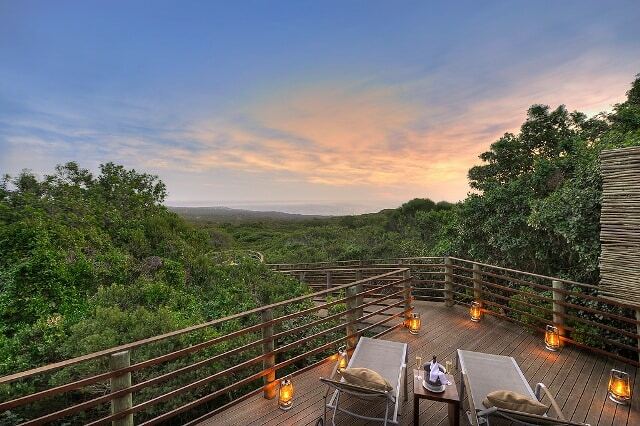 Yet, Grootbos Private Nature Reserve is more than just great quality accommodation, food and facilities. 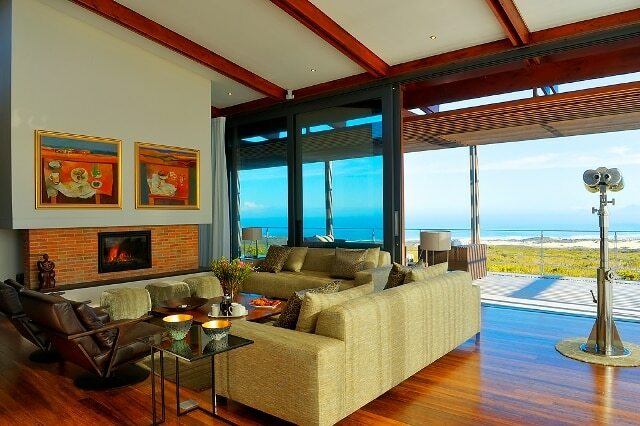 It also has an altruistic philosophy seen in its Grootbos Foundation with a focus on conservation and social responsibility. We had a special tour of the farm/social responsibility project which is run on the property. 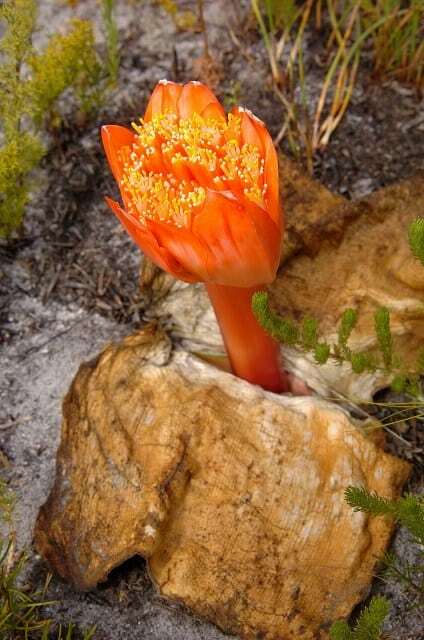 The reserve is also passionate about the conservation and restoration of the flora and fauna of the area and educate locals and the world beyond about the importance of this environmental gem. 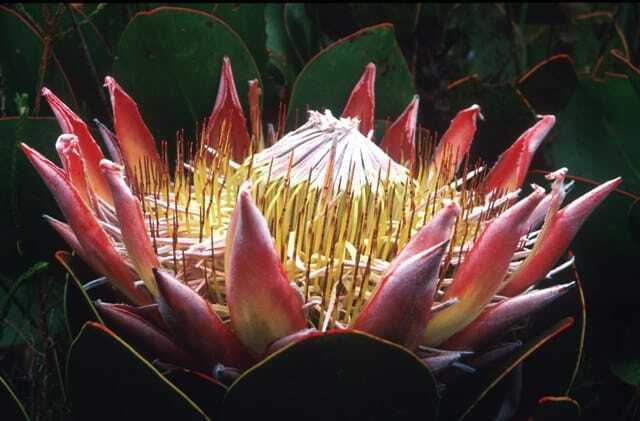 Grootbos provides a training programme on site to twelve local youths in horticulture, indigenous gardening and life skills development. It also chose five ladies from nearby townships and offered them the chance to learn and work on the land, harvesting the crops, herbs and tending to the animals. They each are allowed their own patch, which they tend and take the produce home to their families. In addition Grootbos helps the ladies to develop other skills such as opening up bank accounts, learning to drive, computer skills and more. I spoke to one lady who had been attending for two years who said she loves and values it. She got quite emotional as she told me about she’d like to have her own land one day and that the guidance from Grootbos means she’s not reliant on hand-outs and can now fend for herself. We couldn’t help but get caught up in what they were doing and it all helped make our stay at Grootbos Private Nature Reserve a very interesting one. 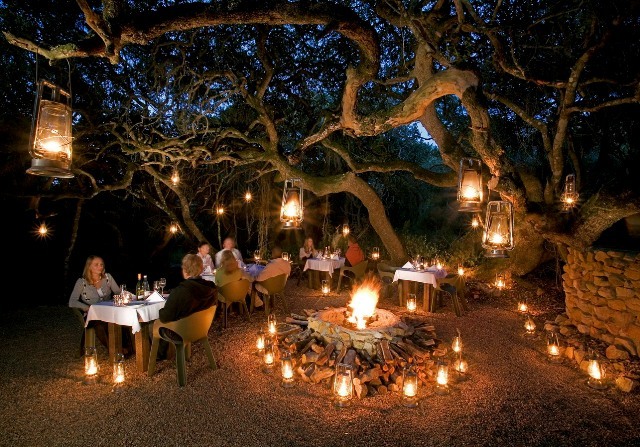 Grootbos Private Nature Reserve is one of the many fantastic hotels we have visited as part of 4xfour – our journey to four continents in four months. 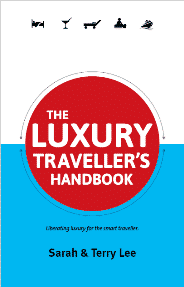 Read more about the places where we’ve stayed on this incredible journey.